Henrik Fisker is definitely most known for the failed Fisker Karma that came and went several years back. Fisker is back and he and the company of his name are teasing a new car that will be getting official soon. A few days back the car was teased from a side view that showed cool butterfly doors that opened up for the front and back Those doors claim to make it easy to get into and out of the car. 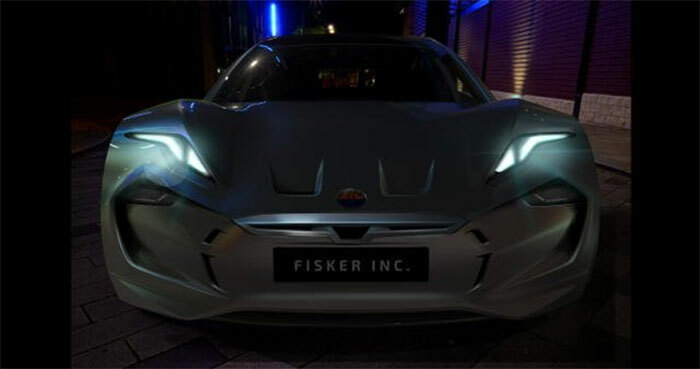 This time out Fisker is teasing a new image of the same car that shows off the front end. The front has small trapezoid center radar and camera and adaptive LED lights. Radar and camera suggests that this car may have some autonomous skills, but that is unconfirmed. The front of the car certainly looks cool, I hope the car has some performance to go with that cool style. Fisker promises that more will be coming on the car, but there is no indication of exactly when more will come. It’s been about four days since the last tease.